This patient has been in your ED for over 24 hours waiting for a CCU bed. He presented with vomiting and syncope, but acquired left sided rib fractures during his collapse. He has been comfortable for most of the day on nasal-prong oxygen and a morphine PCA. You are asked to see him as he has sudden worsening of his left-sided chest pain. He has become clammy and hypoxic. What are you going to do now ?? 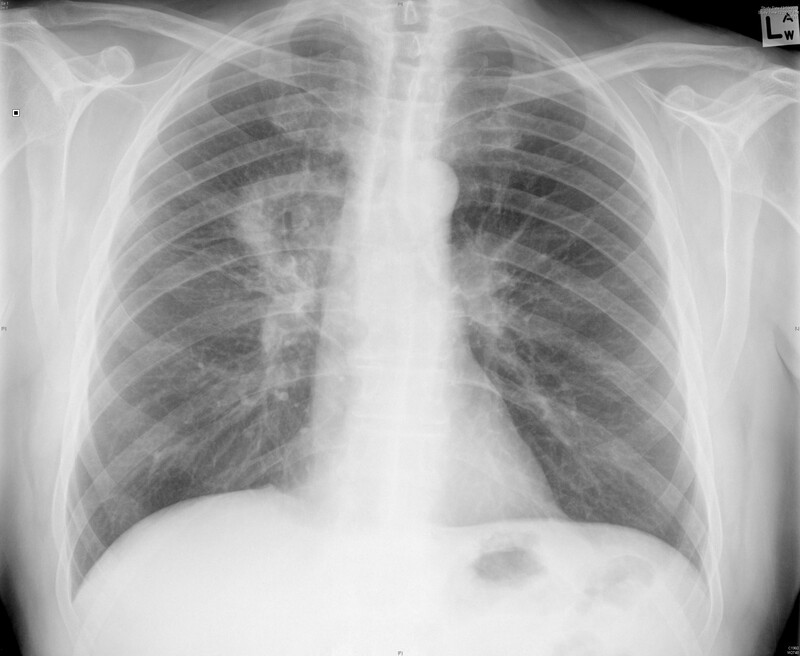 Recently, a colleague of mine was wanting to perform a diagnostic tap on a patient with cough, fever and a CXR suggesting a left sided pleural effusion…. I was asked to perform a bedside USS to mark out the safest place to perform the pleural aspirate. I percussed the chest to the dullest point and then slapped the ultrasound on (left posterior chest wall, longitudinal plane, just below tip of scapula). Needless to say the needle was re-sheathed and the procedure aborted. I am convinced that if we were going by x-ray and clinical examination alone we would have created more problems for this guy. Turner JP, Dankoff J. Thoracic ultrasound. Emerg Med Clin North Am. 2012 May;30(2):451-73.